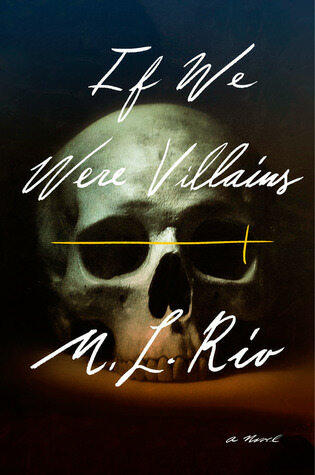 I love to read dark fiction, so not surprisingly, I encounter lots of villains in my reading. 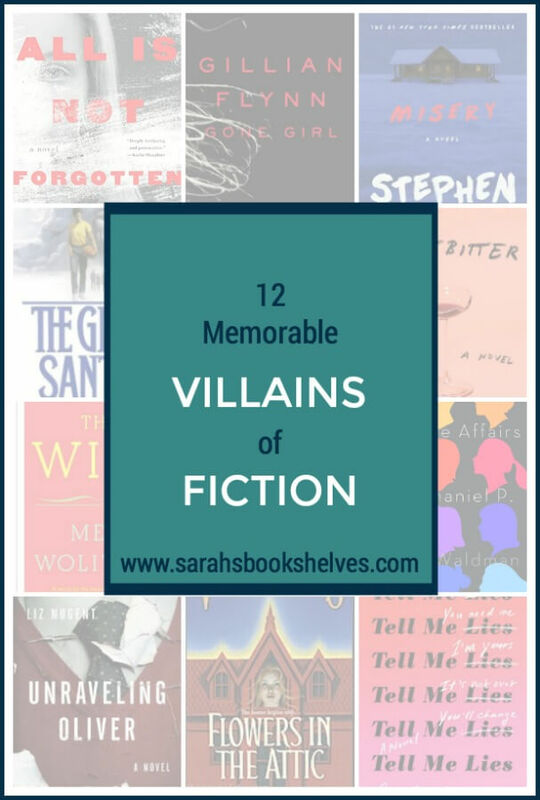 Putting together my 12 most memorable villains of fiction was disturbingly fun! Many on this list are adept manipulators, some are well known among readers, and some are not. And, the main character in the book I just finished (A Ladder to the Sky by John Boyne) could possibly top this list. But, I felt weird about including him since the book isn’t coming out until November. 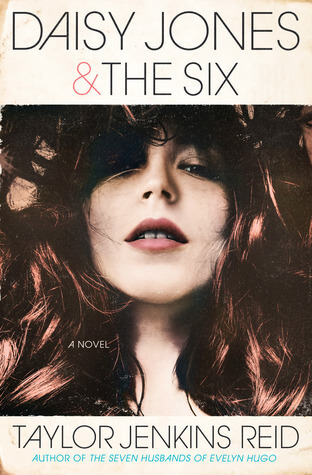 Linking up with Top Ten Tuesday hosted by That Artsy Reader Girl. Why are psychiatrists so often creepy villains in fiction? This one was arrogant and diabolical, too. Possibly the most manipulative character I’ve ever read. But, her husband almost deserved her. Almost. A terrifying version of fangirl-ing. More power to you if you can get that vision of Annie hammering Paul’s ankles out of your head. Maybe the worst Dad in literature. But, he also had a sense of humor that made reading him slightly less traumatic. The first of two sociopathic boyfriends on this list. Locked her grandchildren in her attic for years. I should probably include Corrine Dollanganger (the mother) on this list as well, seeing as she agreed to her mother’s diabolical plan. The second sociopathic boyfriend on this list. But, definitely worse than the first one (Jake the Bartender from Sweetbitter). What villains of fiction do you love to hate? My March reading has so far been pretty similar to February! 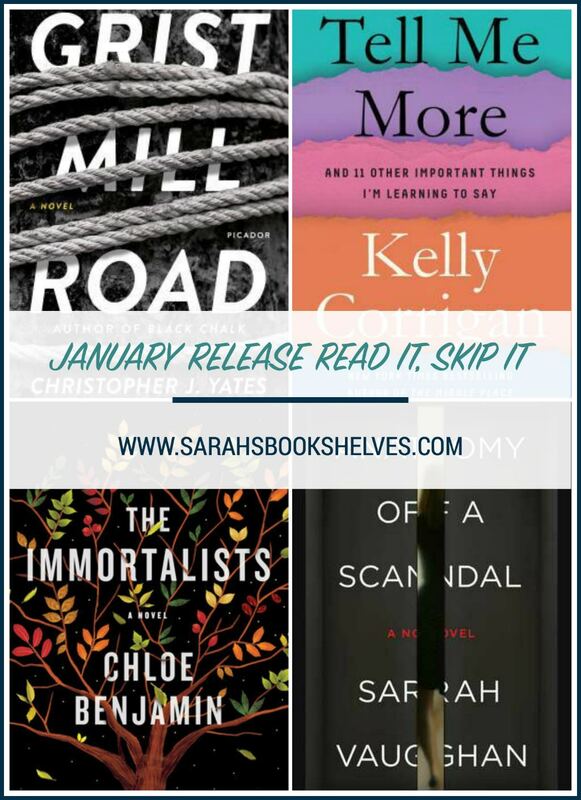 I’ve liked most of what I’ve read, but there isn’t a runaway standout. I did get let down by two trusted authors, which always makes me a special kind of sad, but overall a solid month! 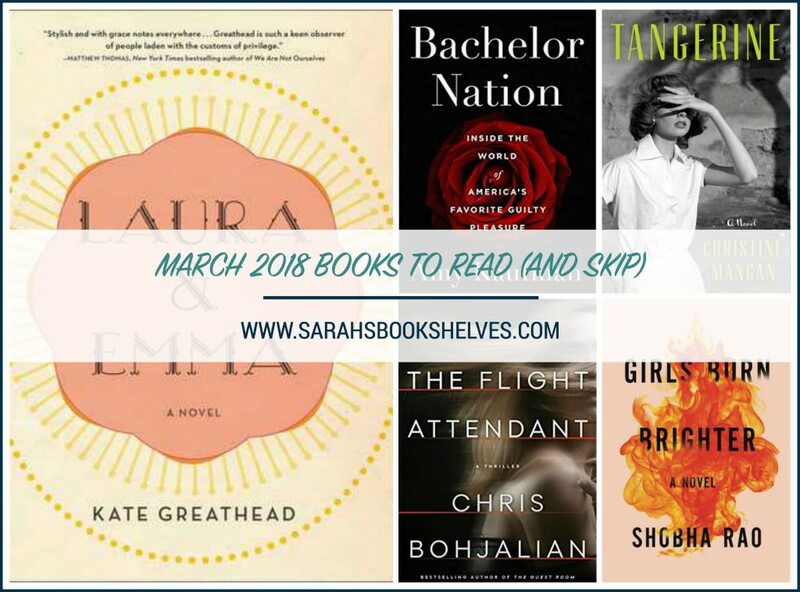 In addition to my March 2018 Books to Read, stay tuned for my full review of Alternate Side by Anna Quindlen (coming a week from today). Plot Summary: Kaufman, a L.A. Times reporter who covered The Bachelor franchise until ABC shut down her access because they weren’t pleased with what she was writing about the show, exposes the inner workings of The Bachelor franchise. My Thoughts: I’m an unapologetic fan of The Bachelor and am fascinated by all the behind-the-scenes drama. So, I’m almost the perfect reader for this book (my downfall is that I already know a lot of this stuff from reading Reality Steve). Kaufman investigates The Bachelor‘s cultural place in America, how producers get contestants to give them good TV, how and why contestants think they fall in love over such a short period of time, what happens to the couples after the show ends…and, a history of dating shows (which should have been edited out). This best part of the book are the excepts from contestant Sharleen Joynt‘s journal she kept during filming…she clinically picks apart the psychology of the show while she’s in the middle of it. She’s brilliant and her take is articulate and well thought-out. Kaufman doesn’t really dish on contestant-specific gossip (who’s hooking up with whom, etc), but raises the overall curtain to reveal Oz. Beware if you want to preserve the fairytale because you’ll for sure be watching the show differently after reading it. 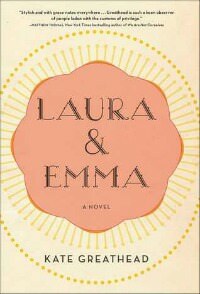 Plot Summary: Laura, the somewhat quirky daughter of a blue-blood Upper East Side family, becomes pregnant after a one-night stand and wrestles with how to raise her daughter. My Thoughts: The key to loving Laura & Emma is loving Laura’s voice and the writing style (which I did)…because there isn’t a ton of action to propel the story. It’s been compared to the TV show Gilmore Girls and I’d say that’s true with the story’s premise (single mother from a wealthy family trying to raise her daughter differently than how she grew up, but not totally disconnecting), but not at all in character or style. 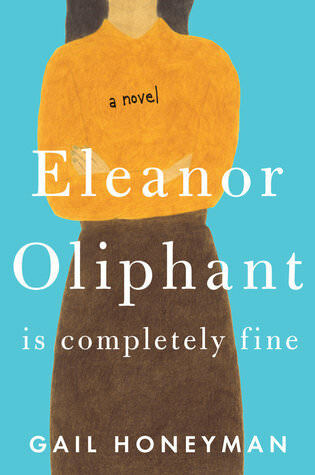 Laura is offbeat, but likable and funny in an awkward way (she reminded me of a less damaged version of Eleanor Oliphant). She’s uncomfortable with her family’s wealth, but her guilt doesn’t stop her from taking advantage of the benefits that come with it. The story is told in vignettes both momentous and mundane, which might turn some people off, but these hung together quite well to form a cohesive story (e.g. similar to Goodbye, Vitamin ). However, the ending is perplexing to say the least. I’m still not sure what happened and it will probably annoy readers who don’t like things left open-ended. P.S. 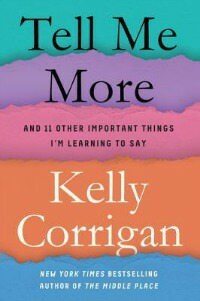 – there’s an entertaining, kooky grandmother…always a plus in my reading! As she sat across the table from this Republican lobbyist lunatic, she thought of what her mother had said of marriage: Anything, anything, anything would be better than this. That’s how others viewed her current situation as a single mother, she realized. How else to explain their rationale in matching her with such maniacs? They saw her and Emma as incomplete, stray people, a free-floating fragment; the goal was to make them whole and anyone, anyone, anyone would be better than no one. 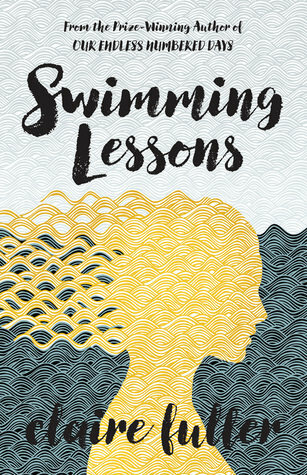 Plot Summary: Alice Shipley can’t figure out whether to be relieved or unsettled when her college roommate (Lucy Mason), who she hasn’t spoken to in over a year after a deeply disturbing incident, shows up on her doorstep in Tangier, Morocco, where she’s living with her new husband (John). My Thoughts: Told in dual perspectives, Mangan’s debut novel is the story of a fraught, obsessive friendship and all the wreckage it leaves behind. 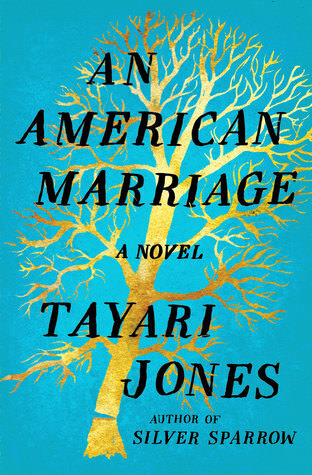 Tangerine is a very specific type of book that I generally adore (and I did in this case! ), but that probably isn’t for everyone. It’s kind of a page turner, but not in the traditional sense. 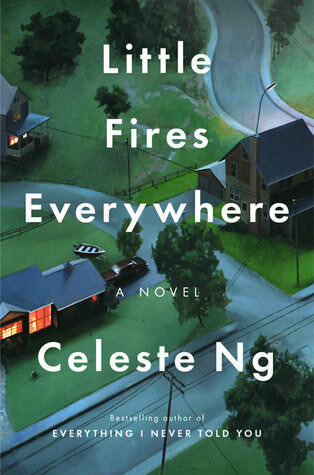 It’s taut with emotional and psychological tension, but doesn’t have much action until the second half. 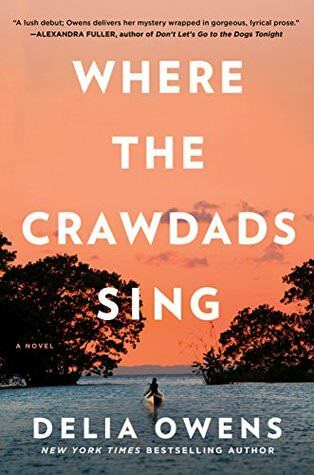 Mangan generates all this tension through her writing style, which reminded me of Tender (my review), Sunburn (my review), and Based on a True Story (Spoiler Discussion). 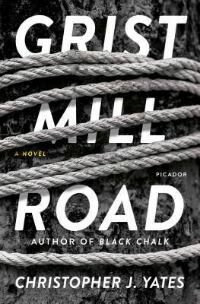 For virtually the entire book, I questioned who to trust, which kept me turning the pages, and the Moroccan setting makes the story even more enigmatic. P.S. – Don’t be fooled by this cover. 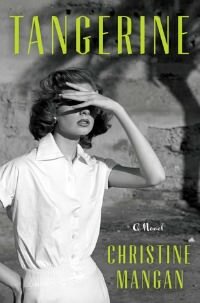 It reminds me of Paula McClain’s Circling the Sun, which is straight-up historical fiction, but Tangerine does not read like historical fiction at all despite the 1950’s time period. Tangier and Lucy were the same, I thought. Both unsolvable riddles that refused to leave me in peace. And I had tired of it – of the not knowing, of always feeling as though I were on the outside of things, just on the periphery. 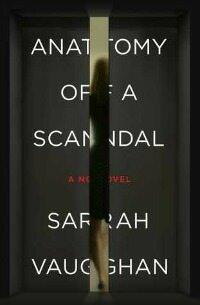 Plot Summary: When Cassie, an alcoholic flight attendant, finds her hook-up (Alex Sokolov) from the night before dead in a Dubai hotel, she questions whether she killed him during a blackout and, if not, wonders who did. 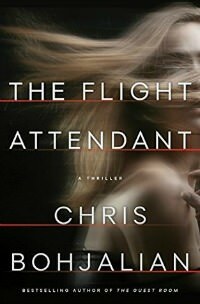 My Thoughts: Chris Bohjalian has been a reliable standby for me in the thriller department for the past few years (The Guest Room, The Sleepwalker), but I think he stumbled with The Flight Attendant. I was initially interested in finding out what happened to Alex and what would happen to Cassie. How would she handle being questioned about Alex’s murder (given she makes terrible decisions most of the time)? Would she be charged with murdering him? But, as Alex’s story is gradually revealed, I became incredibly confused. Why he might have been killed is convoluted, yet it felt like white noise to me. That side of the story isn’t developed well at all…to the point that I didn’t really care. 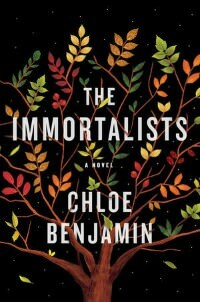 However, Bohjalian did a great job bringing the life of a flight attendant alive, which I enjoyed. Bohjalian has written a book a year for the past few years, which is a lot. I feel like he might’ve churned this one out too quickly…at the expense of quality. She hoped her small joke would make him smile, but the truth of it made her cringe. It wasn’t merely the acknowledgment of her drinking; it was the reality that she was poisonous; she always risked diminishing the people she loved or might someday love. Too often she forced them to make the same bad choices she did or forced them from her life. Best case, she forced them to care for her. 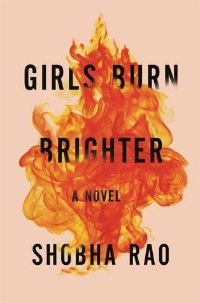 This novel about female friendship set in India got a decent amount of publisher hype. I had trouble getting into the characters initially and my mind kept wandering. I felt like I was viewing the story from an airplane window at 50,000 feet instead of feeling immersed in it. Since then, I’ve heard it’s an incredibly brutal story, which I just don’t have in me right now.